Logitech Mobile Freedom Headset is a Bluetooth 1.2 compatible headset that features Logitech’s patent-pending WindStop technology which produces clear sound on calls even in windy conditions. Logitech Mobile Freedom Headset also can perform perfectly without interference in high traffic WiFi areas, and has up to 7 hours of talk time or up to 250 hours of standby time between charges. 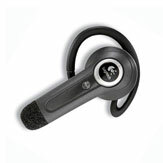 Newsfactor Magazine reviewed Logitech Mobile Freedom Bluetooth Headset with a Motorola V3c Razr and gave the headset the rating of 4 out of 5. The conclusion was that the Logitech Mobile Freedom headset combines entry-level pricing and top-end performance. It’s not the trendiest or lightest Bluetooth model available, but it’s well suited for those who value performance and high quality. Pros: Low price; clear, clean calls even in windy conditions; rechargeable battery. Cons: No car charger included; a little heavier than more-expensive models.